As Reeve of the Corporation of the Township of Beckwith I would like to welcome you to our web site. The Township of Beckwith is one of the fastest growing municipalities in Eastern Ontario. This growth is in part due to its proximity to the Nation’s Capital, the City of Ottawa which is only a half hour drive from the centre of the Township. As well, the Township of Beckwith surrounds much of Mississippi Lake which supports a large lake front community, beaches, fishing, pleasure boating and all other forms of relaxation which are associated with lake side living and visiting. Two provincial highways transverse the Township; Highway 15 running between the Town of Smiths Falls and Carleton Place and Highway 7 which accesses the 417 into downtown Ottawa. This allows for easy access into and out of the area. Due to the growth being experienced by the Township, we have been fortunate enough to have a public elementary school located within our boundaries which provides 600 seats for Township children to receive their primary education at “home” rather than being bussed into the closest town. The school also houses an outstanding day care facility run by the Beckwith Day Care Centre Board. I hope that the information provided within these documents will be of assistance to you. 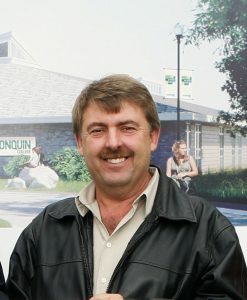 The Township Council is made up of a Reeve, Deputy Reeve and three Councillors. At present the Reeve is Richard Kidd, the Deputy Reeve is Sharon Mousseau and the Councillors are Faye Campbell, Brian Dowdall and Tim Campbell. Each member of Council holds their office for a four year term. The next election will be in October 2014. Council is responsible for overseeing the overall management of municipal business. The Township’s Council deals with local planning issues, payment of suppliers and contractors, setting of policies and priorities with regard to capital work such as roadways, recreation, waste management, fire protection, policing and other similar items. The Reeve is the head of Council and his duties include running Council meetings and ensuring that staff are performing their duties as required by Council. The Reeve is elected to this seat by the people of the Township, unlike the County Warden who is appointed by members of the County Council. Township Council’s are responsible for a large variety of duties from animal control to zoning. Because the Township Council is so close to the concerns of their area, in comparison to the Federal and Provincial Government, they must deal with a vast and varied menu almost on a daily basis. Members of a municipal Council are often called by the public late at night or early in the morning to deal with a road sign being knocked down or a dog barking because they are local and usually known by the area residents. Any person who is on Council must have the time and dedication to properly do the job. 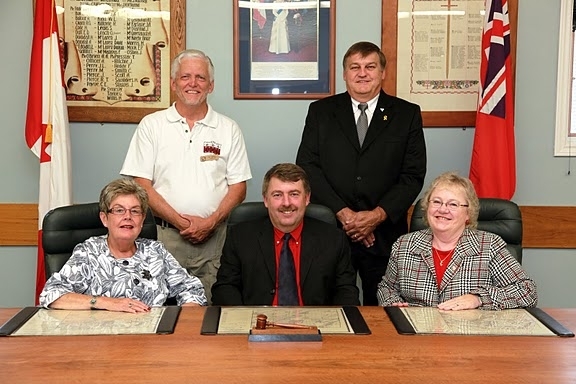 The Beckwith Township Council meet once a month on the first Tuesday of the month. These meetings are opened to the public and Council invites anyone who is interested in attending to join them. Council is supported by a Chief Administrative Officer. The Chief Administrative Officer is there to advise Council and ensure that any and all directions received from Council are completed. The Chief Administrative Officer is supported by the Deputy Clerk, Planning Administrator, Public Works Superintendent, Chief Building Official/By-law Enforcement Officer and the Fire Chief. These members of staff are also there to provide advise and direction to the people of the Township. The Chief Administrative Officer also directly oversees all areas such as finance, taxation and general office duties. The Planning Administrator is Council’s advisor on Planning matters and as such must be well aware of the legislation concerning planning. Besides this though, the person in this position will also have some knowledge of the other areas a township may deal with. The Public Works Superintendent, the Building Official/By-law Enforcement Officer and the Fire Chief are all specialized positions. These persons deal with a specific area of concern within the Township. The Public Works Superintendent ensures that roadways are properly maintained including grading and snow removal. He also advises Council or the Public Works Committee of any and all necessary work to be done on the roadways and the road equipment. The Building Official/By-law Enforcement Officer ensures that houses and other buildings that are being built within the Township meet the requirements of the Ontario Building Code and that the By-laws of the Township are being followed such as parking restrictions. The Fire Chief, appointed by Council, is responsible for supervising the volunteer Fire Department and ensuring that the fire equipment is properly maintained.